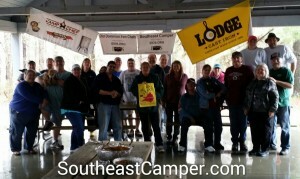 We had a real good time hanging out with the IDOS chapter from Richmond, VA, the Old Dominion Iron Chefs. This was the second time we met for the NC-VA 2 State Dutch Oven Gathering. 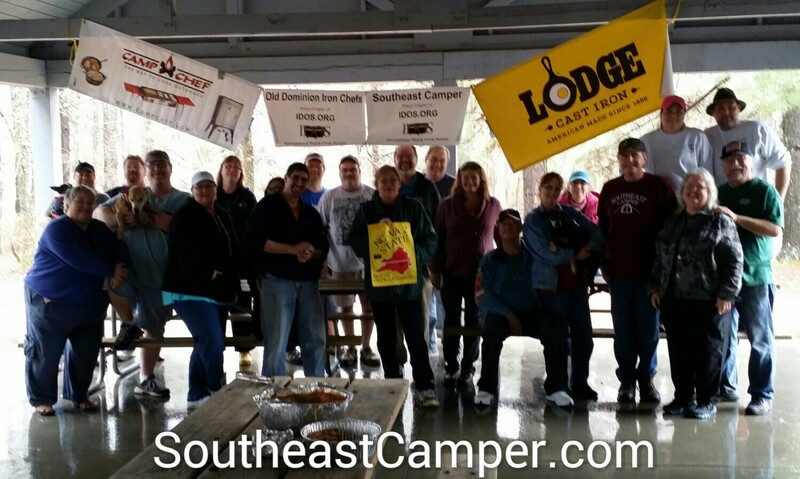 Southeast Camper Dutch Oven Group and The Old Dominion Iron Chefs have gathered many times in the past, DOG’s, Cook-Offs and camping trips. We’ve gotten to know each other fairly good and talk about next year’s DOG has began. We had a total 25 people including guest producing 16 black pots for dinner. The variety and quantity of food was outstanding and nobody ever leaves hungry. The weekend starts off with a big potluck on Friday night where we meet the new cooks while catching up with old friends. 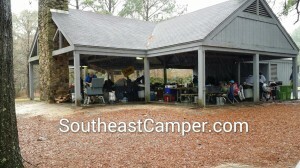 Most Dutch Oven Gatherings are at state parks making them a fun filled weekend of camping and cooking. When we are not cooking we are sitting around the campfire catching up on news and trading a recipes. Our weekend DOG had enough rain to send most folks packing, but we endured and the 2 State Dutch Oven Gathering was very enjoyable. 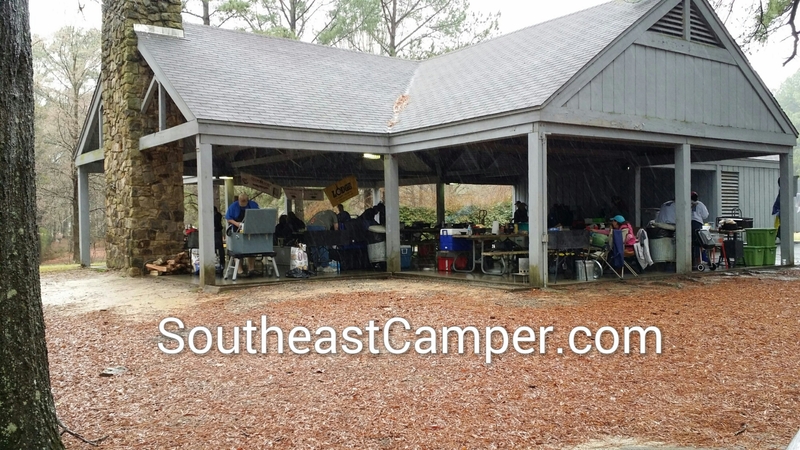 Most Dutch Oven Gatherings that have some kind of crazy weather, be it rain or fog tend to be the best cook outs because folks will focus more on the food and each other. If you were at the 2 State DOG, please send us your pictures and for those wanting to join, stay tuned for upcoming dates. 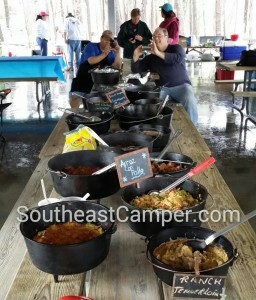 Our next Dutch Oven Gathering will be Southeast Campers “Spring Dutch Oven Gathering” at Kings Mountain State Park on 4/26/204, 9am for a Meet’n’Greet ending with the Cast Iron Buffet at 4pm. Bring you recipes and gear for a fun afternoon.